Embracing Sisterhood is a thought-provoking examination of black women’s intersecting challenges, tensions, and issues of class in the twenty-first century. In this purported era of high-profile, mega-successful black women and growing socioeconomic diversity, Embracing Sisterhood seeks to determine where contemporary black women’s ideas of black womanhood and sisterhood merge with social class. 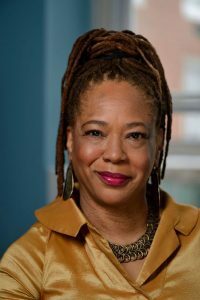 Katrina Bell McDonald is Associate Professor of Sociology at Johns Hopkins University, Co-director of the Center for Africana Studies at the Johns Hopkins University and an Associate of the Hopkins Population Center. Books will be available for purchase at a book signing after the event.